Work for IBM Watson IoT Platform? Learning about IBM Watson IoT Platform? What is IBM Watson IoT Platform? IBM Watson IoT Platform can help you get a quick start on your next Internet of Things project. 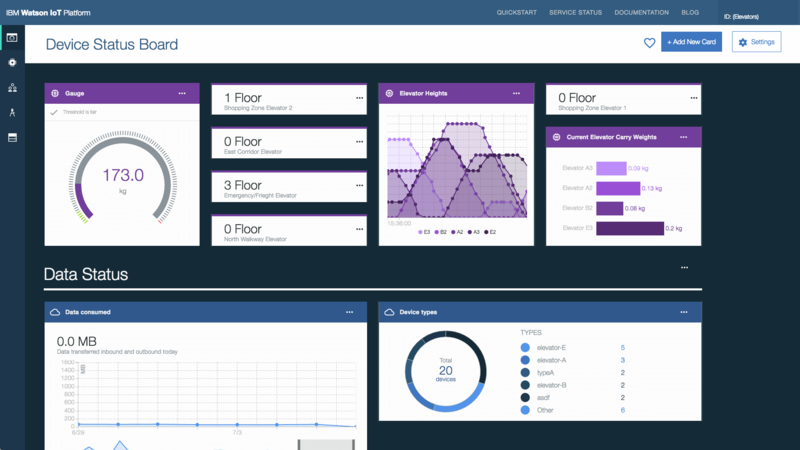 It is a fully managed, cloud-hosted service designed to make it simple to derive value from your Internet of Things devices. It provides capabilities such as device registration, connectivity, control, rapid visualization and storage of Internet of Things data. 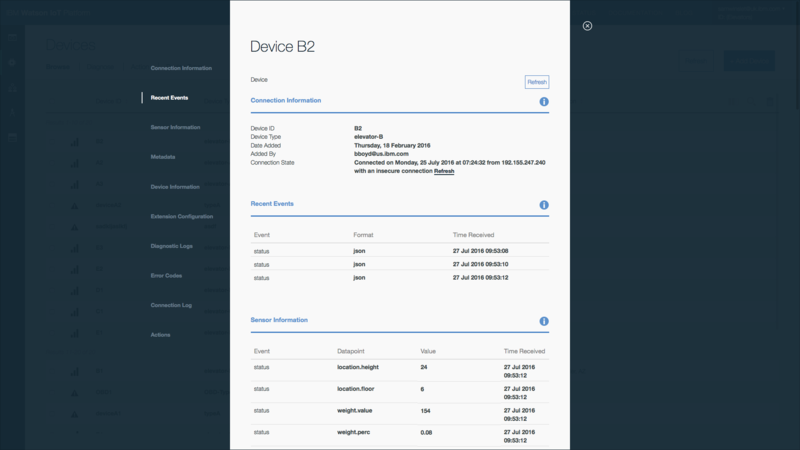 Connect and Manage devices: Connect to the Watson IoT Platform on IBM Cloud with ease, then set up and manage your IoT devices and data to start creating your own applications, visualization dashboards and mobile IoT apps. Build quickly and securely: Find the tools and services you need to create your IoT applications including cognitive APIs, Weather Company data, blockchain and more. Extend with Watson Cognitive APIs: Create a better experience with a natural voice interface or image recognition. IBM offers a wide range of technology and consulting services; a broad portfolio of middleware for collaboration, predictive analytics, software development and systems management; and the world's most advanced servers and supercomputers. Hi there! Are you looking to implement a solution like IBM Watson IoT Platform?